TK was visiting during both Letter K and Thanksgiving week so we got to have lots of fun with her. I pulled printables from a lot of different sites so I really hope I give the correct credit where credit is due! Bible Verse: I can do all things through Christ who strengthens me. We didn't have a bible figure during T-giving week. I don't think pilgrims and Wampanoags count as bible figures! Her favorite book that week was One Little, Two Little, Three Little Pilgrims. She memorized it. (We read it THAT many times). I must admit I loved it, too! And we checked out this week at the library (I had to hunt for the holiday book section!). Pile of Pumpkins: I laminated this and she used flat marbles to find the P's. Which one is different? and Who is tallest? : She did great with these! A month ago she didn't understand the concept of different, but she pointed them out and then circled them with a dry erase marker. DLTK's Dot Turkey: She worked on this twice that week. Hanprint Turkey puppet: I traced her hands, TK cut them out and Sweet P glued on the pieces and decorated the bag. It came out really cute! Cupcake liner turkey: We got a gift for Baby Brother that had giant cupcake liners as holders for a onesie and I saved them hoping we could use them. This turkey was perfect! Sweet P decorated the liner (his feathers) while I cut out the pieces for his face. Marker Art: She asked to draw with markers and drew what really looked like a Christmas tree. It's covered up by her turkey book. 1+1+1's Color the Turkey book: This was great for colors and following directions. I laid out the markers and handed her one turkey at a time. I'd read "An orange turkey." and she'd pick up the corresponding marker and color the turkey. Hippo: She did the hippo with Uncle Ian and the Farmer one morning. It's a coloring book we have that you choose the eyes from stickers for each animal. A Heart for a Home's Turkey T-Maze: We have done a few mazes and she doesn't love them, but this go round she marked the T's and then drew the line to the turkey! 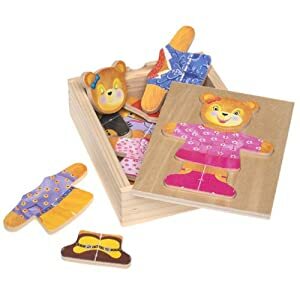 Puzzles by Mamas Monkeys: I've seen these put on Mega Blox before so I tried it out with these. They were so fun! And she had fun putting them in the wrong spot too! Flat they are so hard for her to keep together. Will do this again with other printable puzzles. Modeling her Turkey shirt that Gammie made! Playing with a Rhodes roll: She LOVES LOVES LOVES these. They come frozen so we gave it to her straight from the freezer. She got to see it go from hard to soft and had a ball playing with it. "Wanna play with my playdoh, pwease."